One year ago today I gave my 2007 predictions and before I give you ten 2008 predictions, we'll grade my success over the past year. The 2007 predictions were . . .
Frank was reelected as predicted. Al has told his executive staff he will be a candidate. It has happened just as predicted. Many memorable quotes, but David Dockery summarizes them all when he said, ""It is now time for us to move from controversy and confusion to a new consensus, to a new commitment to cooperation." That they were. The baptism policy became simply a 'guideline,' and the wording was changed slightly, but the most enlightening revelation of the year was the LifeWay poll regarding private prayer languages and the beliefs of Southern Baptists. But for the injury to Sam Bradford at Tech and the fluke second half and field goal at Colorado, this prediction would be my best one. :) Wait for 2008. A miss. I am in good company with the Sunday Times on this one. Summary: My OU and Israeli strike predictions were the only two that were off base. 80% is not bad. Now for next year's predictions. Remember, these are only predictions. John Quincy Adams was a Baptist pastor in America in the 1800's. This John Q. Adams was not the famous founding father of America, but an American Baptist pastor who was a contemporary of C. H. Spurgeon's. J.Q. Adam's gave a series of lectures entitled Baptists Thorough Reformers which were eventually placed in print. When Rev. Adams met Charles Spurgeon in London, in August, 1868, Spurgeon "informed him that he had used 'Baptists Thorough Reformers' as a text book in his Pastor's College, regarding it as the best Manual of Baptist principles he had met." I. THE AIM OF THE RELIGIOUS REFORMER. A Reformer is one who seeks to remove abuses which have crept into an organization or community, or one who boldly enters a field where error has held undisputed sway, and fearlessly wields amid giant powers of opposition, the weapons of truth. He aims to entirely revolutionize the minds of the community in which he labors, on that particular subject where he believes reform to he needed. A compromise between truth and error is not what he seeks, and will not satisfy him. "The truth, the whole truth, and nothing but the truth," is his motto. Old systems of error, however sacred on account of their antiquity, he boldly attacks. Though massive darkness has long brooded over the people, he aims to dissipate the gloom, and shed upon them brilliant rays of light. His work is a mighty one; the end for which he labors is noble and sublime. He holds a position in advance of the community in which he resides, and the age in which he lives – hence he possesses traits of character that are peculiar, which fit him to toil and suffer for the accomplishment of his designs. II. THE REPROACH OF THE REFORMER. All Reforms are attended with agitation and conflict, but none more so than reforms in religion. At first, the reformer may attract but little attention. His attacks on error may appear so feeble, and his efforts to advance the truth may seem so faint, that the opponents of truth may esteem only the smile of ridicule and scorn necessary to throw his work into insignificance, or a slight exertion of authority sufficient to extinguish it. But let him continue with boldness, energy and eloquence, to plead for truth and begin to make an impression upon the public mind, and gather adherents around him; then will his adversaries become agitated and alarmed. Like the fierce storm, lashing into foam the waters of the mighty deep, they stir up the popular mind, until the entire community moves in angry surges, and persecution and violence ensue. The more bold the onset, the more forcible the elucidation of truth, the more numerous the adherents to the reform, the more fiercely will the advocates of error oppose the effort, and the more desperately will they seek to crush by force, or circumvent by cunning, what they cannot master by argument, or defeat by sound logic. III. THE TRIUMPH OF THE REFORMER. The true religious reformer must ultimately triumph. However opposed, reproached, and persecuted, he triumphs. Even when he appears to be discomfited he triumphs. While he struggles on in adversity, and while sad reverses meet him in his work, still he triumphs. The power of the truth is manifest in the support it yields him amid these disheartening circumstances. The consciousness that he has discharged his duty with fidelity, fills his mind with peace. He feels that the smile of God is upon him; hence the frowns of the opposers of truth, and their anathemas, are lighter than vanity to him. He esteems "the reproaches of Christ greater riches than all the treasures" of earth. The shame of the cross he counts greater honor than all the applause of the world, and the martyr's death is to him sweeter than all earthly pleasures. He exhibits a dignity of character that far outshines all others, and totally eclipses, on the historic page, all his slanderous persecutors. He is as far superior to the time-serving demagogue, as are the burning beams of the meridian sun to the last sickly rays of the feeble taper, flickering in its socket, and just ready to expire. He knows no fear of consequences. Duty, it is his to perform – results, are God's to control. He stands firmly, as the rock in the ocean, unmoved amid the howlings of the tempest and the fury of the waves. For him there is a, glorious future, however dark the hour of trial may be; and though for a time he endures reproach, he will have a name when his persecutors have perished and are forgotten. I thank the Lord that Baptists are thorough reformers. May we stand on the truth and sufficiency of Scripture alone, and may our theological and religious shibboleths that have no biblical support fall at the hands of reform. Last Sunday after church I drove our our children to Norman, Oklahoma to spend Christmas with the extended Burleson family at the Sullivant Retreat Center on the shores of Lake Thunderbird. My wife Rachelle stayed in Enid for work reasons. I left the Retreat Center on Monday and returned to Enid hoping to pick up my wife to immediately drive back to Norman, Oklahoma. Unfortunately, my wife was called in to work. She is a heart recovery nurse in the Intensive Care Unit in one of Enid's hospitals and it was impossible for her to leave Christmas Eve due to the patient load. So, Rachelle worked through the night until 7:30 a.m. Christmas morning. I found myself alone Christmas Eve, at home, eating a peanut butter and jelly sandwich. I do not usually throw pity parties, but I had a good one Monday night. It was not the way I desired to spend Christmas Eve. I felt a little like Jonah under the juniper tree - in a place I didn't wish to be. But within twelve hours the Lord brought me to appreciate my life and my Christmas Eve - even my peanut butter sandwich. While my wife slept Christmas morning I visited a few of our shut-ins at Emmanuel, delivering DVD copies of our last three Sunday morning worship services and wishing them all a Merry Christmas. I visited a church member seated beside his comatose wife of sixty two years, weeping because the love of his life was about to die of cancer - and he of a broken heart. I prayed with a seventy-five-year old women who has no family, but who worked in our church nursery for over four decades and considers all the kids she ministered to 'her kids,' including all four of my own children. I walked into an assisted living apartment where the Christmas music was turned up loud, and a cheerful church member greeted me with a hearty 'Merry Christmas' - and after a few minutes of conversation we both went upstairs to the Nursing Home where his wife, crippled by arthritis and pain, greeted me just as cheerily as her husband. I visited with a forty-nine-year old church member who suffered a debilitating stroke this past year and was preparing for major surgery later this week. In total, I made a almost a dozen calls on people who were all alone, many of whom were in physical pain, and all of whom had no family with them on Christmas Day. I finished that morning having illustrated for me that real joy and happiness is a state of mind and spirit - and can be completely independent of one's circumstances. As I celebrate my forty-sixth birthday today I am reminded I have so much to be incredibly thankful for in my life. 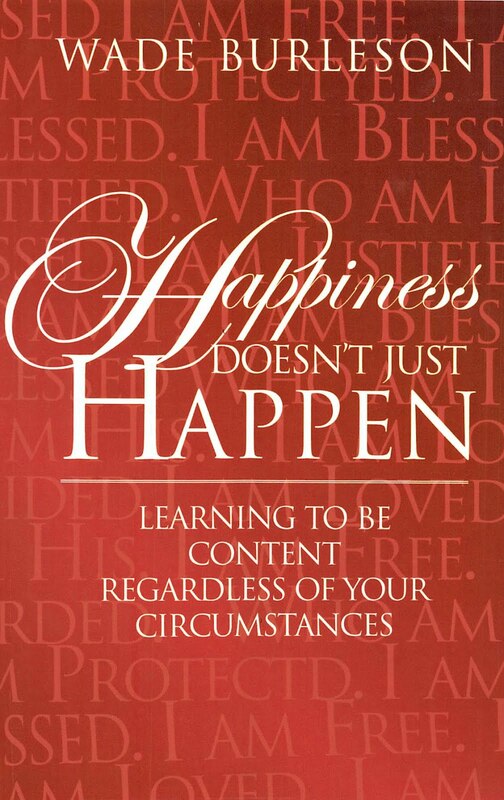 But I carry the lesson taught me this past Christmas Day by the homebound and shut-ins of Emmanuel Baptist Church; genuine joy transcends our circumstances and is dependent alone upon our relationship with Jesus Christ. For Him, this day, I am grateful. ". . . I should repent of linking to TBN and have now corrupted many bloggers." Such reaction seems extreme to me. I personally believe that if we evangelicals, whomever we may be, could ever begin to see each other as brothers and sisters in Christ, serving the same Lord - respecting our differences but loving one another for the sake of kingdom - then the world would finally see that Christ really does make a difference in peoples' lives. However, since Bart Barber, Tim Guthrie, Wes Kenney, Tim Rogers, and a handful of other Southern Baptists have registered such strong opposition to Dwight McKissic appearing with charismatics on TBN, I wonder what these men will write regarding Synergize! Pastor's Conference, January 29-31 in Atlanta, Georgia. The Synergize! Pastors Conference has 35 speakers including a veritable who's who of Charismatic and Pentecostal leaders. Billy Jo Daugherty, Chairman of the Board at Oral Roberts and pastor of Victory Christian Center in Tulsa, Oklahoma is a keynote speaker. Other Pentecostal leaders speaking at the conference include Pastor David Mohan of New Life Assembly of God in Madris, India and Pastor John Lindell of James River Assembly of God in Ozark, Missouri. This faulty view of the baptism of the Holy Spirit is one commonly held by Pentecostals and Charismatics. It has been eloguently and biblically refuted by Dwight McKissic on many occasions, including his infamous SWBTS chapel sermon. It should be obvious to any intelligent Southern Baptist that there is a difference between Dwight McKissic and our Charismatic brethren like those mentioned above. Further, there is no reason to attack Dwight for appearing on TBN. I am not sure these SBC bloggers will retract their posts and apologize to Dwight for misrepesenting both him and his theology for simply appearing on TBN, but I will be very interested to see if they remain consistent and write similar things about . . .
All three Southern Baptist pastors are sharing the platform with the Charismatic and Pentecostal men and women named above as the keynote speakers at the Synergize! Pastors Conference in Atlanta, Georgia. Ironically, the Synergize! conference is being held the same week, in the same city, that 20,000 Baptists will be gathering for The New Baptist Covenant Celebration. I have not one negative thing to say about either meeting. I believe good can come from both, though I will be attending neither. I am simply calling upon our Southern Baptist blogging brethren to display a little more consistency. Preferably, they would not castigate any Southern Baptist for sharing the podium or platform with evangelicals of other denominations. (1). The Sheri Klouda Family . . . I came from a meeting with Pinky's cardiologist last night. Pinky has diffused coronary artery disease, a complication from the diabetes and such. The arteries have narrowed so significantly that he is getting no blood to the heart. They cannot do a bypass on these small arteries nor can they put in stints. A whole section of his heart is getting no blood at all. He also had a recent heart attack, two days before Thanksgiving. Since then, he has been out of breath, cannot sleep, and has constant chest pains. Dr. Mannen put in a stint to get some blood to the left ventricle, which was receiving nothing. The doctors are not sure whether the stint will help him much. There is nothing more they can do for him, other than to try and manage his heart condition through medications and make him comfortable. He has some leakage as well. This means that he needs to take his time at everything he does, stay out of the cold (hard to do in Upland) and avoid shoveling any snow or other labor (like stacking wood, something he found himself unable to do for more than a minute or two) I don't think he realizes that these changes to his life will be permanent. The doctors do not want him to work for at least a month, to give his heart time to heal from the attack. They will then reassess his condition to determine how much permanent damage has been done, and if they can implant a device that will shock his heart should he have another heart attack. If the need is not greater somewhere else, here are some specific ways we could use help: 1. Prescription Co-Pays (we have six new ones); copays for hospital bills when they come in.2. A load of wood for fireplace.3. Enough gas money to travel to Dallas for Christmas with the folks. (2000 miles)4. Help with this month's utilities or groceries. Our deacons have unanimously voted to minister to the Klouda family and every cent received designated for the Kloudas will be forwarded directly to the family - and we will give you a tax receipt for your gift. Simply write on the check "Klouda Family Benevolence Fund." This would be a great way to help a Southern Baptist in need this Christmas season. (2). Southern Baptist Church Planters Affiliated with the Acts 29 Network in Missouri. You can read about the decision at Scott Lamb's blog, Micah Fries, or many others simply by doing a google search. Sam Byers, Mike Hubbard, and Kevin Larson are pastors directly impacted by the loss of these promised funds. In addition . . .
St. Louis Metro Bapt. Assoc. Let me encouarge you to do what you can to help any of the nine church planters affected by this decision. For too long Southern Baptists have done nothing to correct wrongs done to our brethren. This would be a great way to show these men you appreciate their heart for the lost and support their vision for planting churches willing to align with the SBC. If you are uncomfortable reaching across state lines and helping these Southern Baptists, then find some family locally and do what you can to assist them this holiday season. This is the season for giving - and Southern Baptists are a generous people. It is wonderful that we Southern Baptists will give millions to help people overseas who suffer due to earthquakes, tsunamis, and other natural disasters. However, we should also take care of our own. Every now and then I am reminded of the foolishness of Southern Baptists dividing and separating over trival issues while other Christians around the world are in fear of their very lives. Missionaries overseas have recently made me aware of the story Hazem Hanna, a Christian man in danger of imprisonment, torture or even worse if deported to his birth country of Egypt. Hazem himself has requested that I print his story - with an accompanying photograph - so that more people in the west are aware of his situation, knowing his only hope is that Christians in America will speak out before he disappears for good. Hazem Boutros Hanna lives his life looking over his shoulder and sees a life as broken as his right hand; gaining on Hazem is the threat of deportation back to Egypt. Deportation carries the probability of more imprisonment and torture and the possibility of death. His story, and the haunting image of his broken fingers, should give every Southern Baptist pause before anyone looks at a fellow Southern Baptist as an enemy. We are brothers, and we best get focused on helping our evangelical brethren in the battle they face for their very lives. Trouble has been with Hazem since he was eight years old when his father, Makram, a cultural Coptic Christian, began searching for meaning in life and found it in the Protestant church. His religious awakening coupled with an insatiable thirst to learn the Bible led him to share the message of Christ with anyone who would listen. In 1974, when Hazem was 12, his father was murdered for baptizing a former Muslim. One evening the Cairo police brought Makram’s body to his shocked wife and three sons. He had been savagely beaten and his all of his teeth had been removed (a torture practice favored by state authorities). To make matters worse the police refused to investigate Makram’s murder and the family was treated as pariahs by their neighbors. At 15, Hazem began working in the one goldsmith shop that would employ him. It quickly became apparent that he had a gift and when he graduated high school he opened a little shop of his own. That success would last only three years until a Muslim family whose daughter had been baptized by Makram would beat Hazem and destroy his shop. All of this happened while the police looked on doing nothing to stop the family. Hazem’s mother terrified for her son, said to him, “I see you will end up like your father—they will kill you.” Soon afterwards she scraped together enough money to send her middle son to Italy to study art. The old man laughed at him and told him he was crazy, but still gave Hazem an opportunity. Hazem impressed the old man enough to be hired and eventually given more responsibility around the shop. Finally the old man asked Hazem, “Where do you live?” Sheepishly, Hazem answered, “I live at the train station.” The old man found Hazem a place to live and took him on as an apprentice. Hazem, to his mother’s dismay dropped out of school and worked full time at the goldsmith shop. A couple of years later, Hazem returned to Egypt to be with his mother and brothers. Work was difficult to find and a return to Italy was impossible to find since Hazem had violated his student visa rules by dropping out of school and working full time. Over the next few years, Hazem worked illegally with goldsmiths and jewelers in France, Greece, Cyprus and South Africa. He arrived in Morocco with a wealth and variety of experience. Morocco is well known for its gold and diamond markets and he quickly caught on with a man named Reva Jakob, a respected Jewish jeweler in Casablanca. Jakob took Hazem under his wing and taught him the business side of jewelry and gold. Thanks to Jakob’s connections and reputation Hazem’s work became noticed by many influential people including the security detail of Moroccan king, Hassan II. After years of working secretively and hiding in the shadows, Hazem had seemingly found the good life in Casablanca. His craft had earned the respect and patronage of customers all over Morocco. Things were going so well for Hazem that he had opened a shop of his own and had built a house. His success was noticed by the Egyptian embassy and the consular told Hazem, “We are happy to see Egyptians doing so well.” Hazem’s good life would end soon when he received a phone call from a childhood friend. Hazem’s life eroded even more as he was taken to the police. There he was presented a report in which a former co-worker accused Hazem of swindling a shop owner out of his building. Despite the fact that there were no witnesses or formal charges the case went to court. The Egyptian embassy which had lauded Hazem in the past had turned a deaf ear to Hazem’s pleas for help. In desperation, Hazem went on a hunger strike. Word of Hazem’s plight reached his friend, Jakob who provided a lawyer. The case was thrown out and Jakob offered more help, “Leave Morocco because more trouble will come.” Jakob gave Hazem a visa for Israel and assurance that Israel would get his mother out of Egypt. That would never happen as Hazem’s mother would soon die of ovarian cancer. Greif stricken and guilt ridden for not having seen his mother for seven years, Hazem returned to Egypt. In the Cairo airport Hazem was pulled aside by the Egyptian secret police. They knew about Hazem’s plan to flee to Israel and encouraged him to go in their service, “We’ll teach you Hebrew so you can infiltrate the Jewish community.” Hazem agreed to think about it and is released to bury his mother. In between grieving and consoling his brothers Hazem worried about his life. Fifteen days later he was summoned by the secret police and questioned again. Soon after, Hazem bought a ticket to Malta with the intent of never returning to Egypt. Hazem was bound and blindfolded and put into a holding cell where he was not allowed to speak a single word. Hazem was accused of being a traitor because he had supported Jews in Casablanca. After one day in the holding cell Hazem was taken to an unknown prison where he was repeatedly interrogated and tortured. His cell was cold, flooded with water and harshly lit, making it nearly impossible to sleep. In 1997, a bombing in Aswan caused a political shakeup in the Egyptian intelligence office. In the confusion, Hazem was sent to a political prison from which he was released. Hazem’s mangled right hand and his reputation as a sympathizer to Jews made it impossible to find work. Hazem quickly realized that he could not face the future if he was constantly looking over his shoulder so he bribed an airport official and left for Turkey. Two months later he went to Amman, Jordan to plead his case with the United Nations High Commission on Refugees (UNHCR). With only one working hand and the stigma of being a refugee Hazem felt fortunate to find menial work in a restaurant. Unable to get asylum from the UNHCR, Hazem fled to Turkey and found the same result as the UNHCR office in Ankara lost his files and documentation of his torture. Over the next couple of years a minor miracle occurred when Hazem gained use of his wrecked right hand. While his hand was still twisted and grotesque, he was able to work again as a goldsmith. Over time the young Moroccan decided he wanted to go to a church, “Take me to church with you, it would be too shameful for me as a Muslim to go alone.” Hazem resisted at first but eventually agreed to take him to a Protestant church. Hazem went expecting nothing and found love and acceptance, both of which were at a premium in his life. The young man moved from Istanbul and Hazem found himself alone again. On an especially lonely Sunday morning he decided to go back to the church by himself. The sermon that day was about the prodigal son and Hazem realized that he was the prodigal and a tearful God was waiting for him to come to faith. Today Hazem, sees how God has kept him through his trial and laughs at the irony of his finding his faith in Christ, “God sent a Muslim man to me so I could become a real Christian.” Besides faith, Hazem also found the power of forgiveness, “I forgive them all who tortured me because I am a Christian.” The prodigal son has returned to God the Father, but he cannot return to his home in Egypt. The prodigal finds himself in the last chapter of what seems like a spy novel stuck in limbo with an expired passport and a desperate hope in God. What can Southern Baptists do for Hazem? (2). Allow God to use Hazem's story in your life to help keep your perspective. May his story give you pause before you think about separating from any fellow Southern Baptist over matters non-essential to the gospel. Realize that while you argue over who is - and who is not - qualified to baptize, some Christians who simply obey Christ and baptize new believers are being killed for doing so. I wonder how many Southern Baptists in a country where you die if you baptize somebody would all of the sudden loosen their qualifications for the baptizer - and might even think themselves unqualified? (3). Take a day and refuse to complain about your circumstances and simply do something to help somebody worse off than you. The world will be better because of it. I would like to illustrate from a fifty word quote from Missouri Baptist Convention interim Executive Director David Tolliver how we Southern Baptists - if we are not careful - could easily become a benign cult who blindly follow benign cult leaders. I use the term 'benign' in recognition of the many good things Southern Baptists do for the world in general - while at the same time acknowledging we may be losing the power of the gospel of Jesus Christ because we casually dismiss the Bible as our standard of faith and practice. Robert Lifton describes eight signs of a cult in his book "Thought Reform & the Psychology of Totalism:"
Milieu control: control of the group environment and communication. (Dissent or disagreement within the group is not allowed). Manipulation: Leaders are perceived as being chosen by God, history or some supernatural force. (There can be no questioning of God ordained authority in the leadership of the organization). Purity demands: An us vs. them mentality is developed, in which cult members are the only pure and good. (Questioning the morality injunctions of leadership is questioning the integrity of the organization). Confession: group confession and self-criticism is used in order to produce personal change. (The individual is never right, only the group). Sacred Science: The cult's doctrines and ideology are considered sacred and must not be doubted or questioned. (To question is a sign of a lack of spirituality and discipline). Loading the language: Conventional words and phrases are given special, in-group meanings. (Concepts such as 'holiness' and 'righteousness' are defined by group definitions). Doctrine over person: Members are conditioned to feel guilt if they ever question group doctrine. One must conform to the "truth," as taught by the group. (A lack of conformity to group doctrine prompts questions of legitimacy and ultimately expulsion). Dispensing of Existence: The group contains the elite; outsiders are evil, unsaved, and may not even have the right to exist. Now, back to Dr. Tolliver's statement. This time I will give a blank and show you how Baptists, unless we speak out, will allow our Convention to drift toward becoming a benign cult rather than a platform for the expression of the life changing power and grace of Jesus Christ than can come to every believer. "The Bible does not specifically refer to (1). _______________ as a sin. However … the only Christian position in this 21st century environment that we live in is (2). ________________"
(2). (that) only ordained, qualified Baptist church leaders or those they appoint must baptize. (2). (that) God is trying to save everyone, and can't unless man chooses God. (1). I say 'we' Southern Baptists. I am using a label for my family. I am a Southern Baptist, and my concern relates to my Convention. It is much different for family to make an observation than a stranger to do so. (2). I am frankly ashamed that any Southern Baptist would be more concerned with my bringing up the possibility that we are becoming a 'benign cult' than he would with a statement from a Southern Baptist leader that a particular viewpoint is the 'only Christian position.' Further, it is disturbing that few are challenging the bizarre statement that this is 'only Christian position,' particularly since the position is obtained INDEPENDENT from Scripture (as acknowledged by the 'leader'). Even worse, for Southern Baptists to know that this position is the 'only' true Christian position requires special revelation from God to the group leader (or leaders) which is then passed on to us underlings. Finally, the center piece of cultic behavior, disassociation - from those who reject special revelation from the cult's leader - is seen in the unequivocal dictum from this Baptist group that if one does - or will not - hold to this special revelation position as 'gospel truth' then there will be banishment from the group(i.e. 'Journey Church,' and "The Acts 29 Network'). (3). The term 'benign' softens the word cult. Benign speaks of harmlessness - possibly powerlessness. The followers of David Koresh were in danger. The followers of any benign Baptist cult are not in danger of anything except religion without the power of the Spirit. Mormons, Jehovah's Witnesses, and Unitarians are all good people with a religion that is powerless to transform lives and restore the souls of men and women with a desire to know God. God forbid that we become such a benign cult that our focus is more on the external standards of conduct and morality that exceed the Scripture than it is on the power of the gospel of Jesus Christ. When our convention begins to define and identify 'true Christianity' based upon the extra-biblical revelation of Southern Baptist leaders - revelation not found in the sufficient Word of God - we deserve the nomenclature 'benign cult.' By God's grace this trend will reverse - or we will die a slow, religious death. Last Monday night evangelist Arthur Blessitt appeared on the PTL national program with host Richard Hogue of City Church, Oklahoma City. Also appearing on the show was Scott Camp, who used to be a Southern Baptist pastor and the former dean of Criswell Bible College,and Dwight McKissic, who is the pastor of Cornerstone Baptist Church (SBC) in Arlington, Texas. I will write later about the show itself, but the point of this post is to request that my fellow Southern Baptists refrain from attacking the character of men because they do not agree with them. Isn't Arthur Blessitt the Evangelist that carried his cross into the hotel room with his secretary? By the way, was it in tongues when the Holy Spirit told Arthur Blessitt to divorce his wife and marry a woman thirty years younger than him? There is a human tendency to attack the character of those with whom you disagree. But the Holy Spirit, civility, and Christian grace should lead Christians to say something kind about those with whom we disagree. Isn't Arthur Blessitt the same Evangelist that led President Bush to faith in Jesus Christ? Though he advocates speaking in tongues, and I disagree, the Lord has used him mightily around the world. It is always preferable to express disagreement with a Christian brother apart from character attacks on him. Though it may initially seem effortless to fire an arrow of assault at the character of a brother in Christ, in the end, the ultimate piercing of the heart occurs in the Christian archer. I tell this to any Christian brother I know. Whether they listen is between them and the Lord. Last January my father, Paul Burleson, wrote a very thought provoking blog post on 'authority' in the local church. Due to a few statements on 'authority' in the comment stream of my last post, I felt his article on authority, reproduced below in full, was beneficial to the conversation. 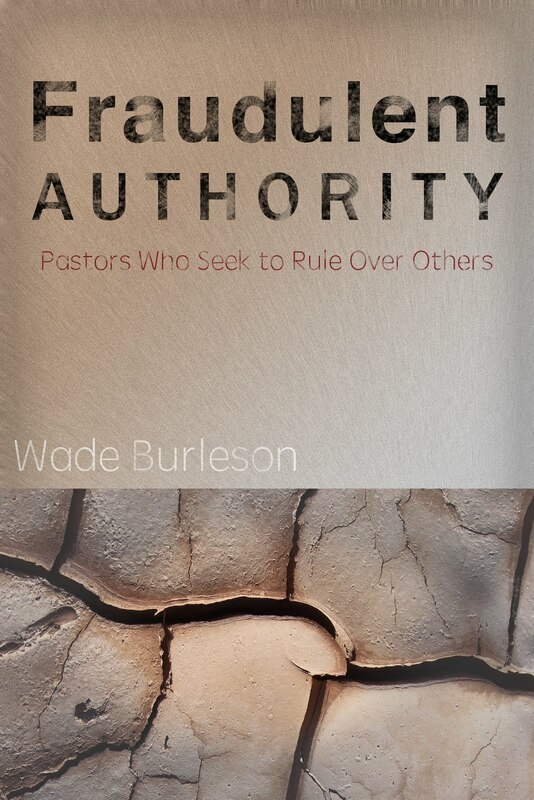 "Authority in a local church is a much debated and, as I've discovered of late, a much misunderstood concept I want to make several personal observations about the biblical understanding of authority in a local fellowship as I see it. F. There is no emphasis in the New Testament on "authority" that is derived from an "office." The King James version translates the word "office" in Rom. 11:13, 12:4, and 1Tim 3:1. But in Rom. 11:13 it is the word "diakonia" or "service." In 12:4 it is "praxis" or "action/function." While in 1 Tim. 3:1 "office" is not in the text at all. The verse simply says in the original "if anyone aspires to oversight[episkope]"
Authority is to be experienced in the assembly because of the gifts and ministries of the Holy Spirit obvious through people. In one sense, the entire body shares authority. [Eph. 5:21, 1Peter 5:5] This means we recognize one another's gifts, knowledge, or experience in the Lord and we choose to serve/submit because the Holy Spirit has placed some as gifts and has annointed the ministries of those gifts. That is the key to understanding Pastors/Elders and their function. No one has authority BECAUSE they have a stronger personality, knows more Bible, or they hold an office. That is foreign to the New Testament. Paul the Apostle had to defend his Apostleship by virtue of it being the work of the Spirit setting him aside for it. 1 Tim. 5:17 speaks of those Elders that "give oversight well"...."are worthy of double honor." It is that "give oversight well" that is the source of authority. They defined it as Holy Spirit annointing. In other words, the annointing of the Spirit makes clear the authority that rests on a ministry done well, not the office holder. (1). I think we can conclude in all of this that a "one man show" is foreign to the New Testament. 2). Further, submission to authority is to be given to those who "serve" the body well, whatever area of "service" that might be and regardless of "gender." Some people believe that the Spirit will never place a woman in the ministry of Pastor/Elder and the BF@M concurs with that. But whether that is true or not, and I have my own views about it, "authority" and "submission" are not "gender based" in the New covenant but "Holy Spirit ministry" based. No one is to be a leader by saying "I'm the Pastor/Elder" or "I have a Seminary degree" or "I'm a man." (3). Servanthood is the "badge" of christian living and is to be the overriding characterstic of body-life. If God's people are to ever reflect the biblical relationship of Body/local body to Head and members to members servanthood is essential. (4). Finally, the rule of church life is really to be the Headship of Christ, the priesthood of all believers, and each member contributing with giftedness and edifying each other in the process. Set up any system, any format, any procedure to carry out business, but function under the annointing of the Spirit. and serve one another. This must not be theory but practice if we are to reflect the reality of Christ to a lost world in need of the gospel. Check any leadership by this standard if you want to be biblical in church life." I am very positive and hopeful about the future of the Southern Baptist Convention and the cooperative efforts of all our churches to reach the world for Christ. I intend this post to be my last post expressing any disagreement with the 2005 IMB baptism and private prayer language policies/guidelines - the impetus for the beginning of this blog, Grace and Truth to You. I will emphasize in this post, again, what I believe to be the major error the majority of trustees (not all) made in adopting two doctrinal policies that exceed the 2000 BFM, and in my opinion, violate the teaching of Scripture. As such, this post represents my final public disagreement over the adoption of the Board approved 2005 doctrinal policies and guidelines. As I have stated from the beginning, the IMB trustees who served with me in 2005, many of whom are now no longer serving, are all godly men and women who desire what is best for the SBC, and they would never dream of doing anything to harm the SBC - nor would I. There is simply a difference of opinion over whether or not the new policies are healthy for the SBC, and with this final post, I will articulate why I believe the baptismal guideline is creedal, clerical and sacerdotal - and very unhealthy in the long run for SBC cooperative mission work. 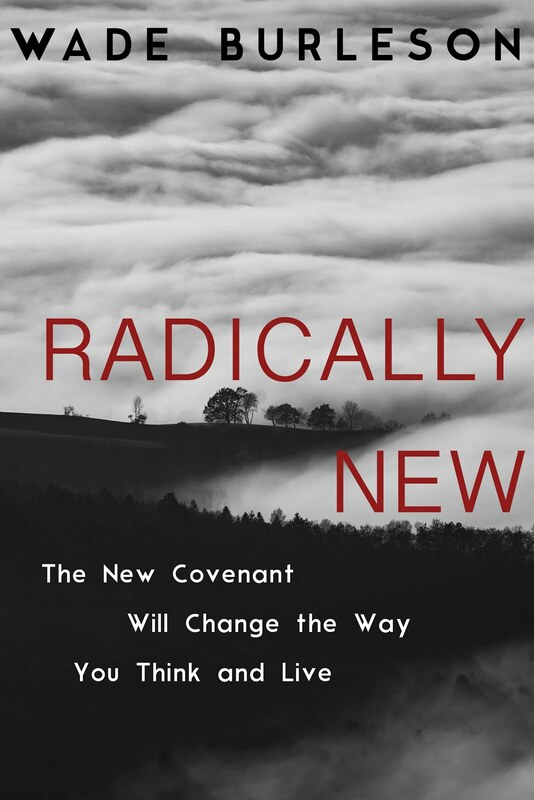 "Baptism is a church ordinance and therefore the only proper administrator of it is a local New Testament church that holds to a proper view of salvation." "Baptism must take place in a church that practices believer’s baptism by immersion alone, does not view baptism as sacramental or regenerative, and a church that embraces the doctrine of the security of the believer." My point in the December 10, 2007 remains clear and unrefuted: "There was no 'local church' present at the baptism of these Hindu women." The baptisms did not take place, as the guideline requires, in a local church. Baptism is not an ordinance administered in the church, but out of it, and in order to admission into it, and communion with it; it is preparatory to it, and a qualification for it; it does not make a person a member of a church, or admit him into a visible church; persons must first be baptized, and then added to the church, as the three thousand converts were; a (local) church has nothing to do with the baptism of any, but to be satisfied they are baptized before they are admitted into communion with it. I commend Bellevue Baptist Church and Missions Pastor Steve Marcum for their mission work and for their desire to see the lost in India saved. I also commend the India pastors who were present at the conference for their desire to involve the converts in discipleship through local congregations of worship in the ladies' home towns. I, and everyone else, should applaud Bellevue for holding the conference and providing a place of security for these women to be baptized. However, don't lose sight of the point of my post -- there was NO LOCAL CHURCH PRESENT - in assembly, in communion, in worship, or in function as a witness to the baptisms or granting 'authority' (whatever that means) - for these baptisms. The Women LEFT the Conference to JOIN a LOCAL Baptist Church? The following Sunday, all around the India - in the towns from whence these women came - 'local churches' received these newly baptized converts into their membership. As we would do at our church, the 'local church' Baptist pastors, some of whom may have even been at the conference, would introduce the new convert to the congregation and have the woman share her testimony of faith in Christ and that woman would petition to join that 'local assmbly' upon examination of her faith AND BAPTISM. The woman probably said something like this . . .
"The Spirit of God has led me to see my need of Jesus as my personal Savior and Lord. Last week I had the glorious experience of making public my faith in Christ at a conference sponsored by Bellevue Baptist Church, Memphis, Tennessee. I, along with several other women from across our state made it known publicly that we were followers of Jesus Christ. I had the privilege - before many witnesses - to declare my solemn faith in Jesus Christ through baptism. I WISH YOU HAD BEEN THERE!" If you rejoice in our sister's testimony of conversion and wish to receive this sister in our fellowship, say, 'Hallelujah!' The congregation would then 'affirm' or 'vote' for this new convert to be a member of the 'local church.' But the baptism this convert and the vote for membership into the 'local church' WERE TWO SEPARATE THINGS. Allow me to relate a personal story that by now is a familiar story to many of you. A young man from Africa came to Enid, Oklahoma. He grew up Muslim. But years ago he was led to faith in Christ by a Youth With a Mission (YWAM) evangelist in his native Niger. This young man was radically saved. He asked the YWAM evangelist if he would baptize him as a testimony of his faith in Christ before his entire family. Several Christians from the area gathered together, along with the new convert's family (who were all Muslim), to witness the baptism. When the young man gave his testimony of faith in Christ and then went down into the waters in believer's baptism, the Christians witnessing the baptism (much like those witnessing the baptisms in India), applauded and wept. The young man's family witnessed the baptism and promptly disowned him. Eventually the young man made his way from Africa to Enid where he shared with Emmanuel Baptist Church, the 'local church,' his very moving testimony of faith in Christ and the account of his baptism - which cost him everything of material value (his home, his family, his job, etc . . .). Our local church (much like the local churches in India), was NOT present at the convert's baptism. Yet, we heard his testimony of faith and the story of his baptism and we promptly shouted 'Hallelujah' when asked if we desired to receive him into our 'local church' membership. This Muslim convert, a member of our 'local church' for the next several years, eventually desired to be appointed for missionary service (late 2005)through the IMB. His pastor (me) would be told that he would not be appointed for missionary service through the IMB because his baptism did not qualify. According to the new 2005 baptism policy the Muslim convert was not baptized 'in a local church.' When I pointed out that 'our local church' had received his baptism as valid, I was told by trustees pushing the new policy that the administrator of this young man's baptism was not a valid administrator of the ordinance, and thus, the missionary candidate's baptism was not valid. When I asked to be shown biblically how, and why, this young man's baptism was not valid it could not be done. I was simpy told for the young man to qualify as a missionary for the IMB - according to the new guidelines - he would have to be 'baptized' again "in his local church - Emmanuel Baptist Church." We refused on the basis that we would not denigrate Christ's ordinance of baptism by ruling invalid that which God himself calls valid. I was then told that for the young man to become an IMB missionary he would have to join another Southern Baptist church that would be willing to baptize him. Soon after I began this blog to register my dissent to such an absurd, unbiblical policy. When we come to the place in our convention that we are more concerned with the tightening and narrowing of the qualifications of the person who can legitimately baptize than we are that a sinner is actually being baptized upon his profession of faith in Jesus Christ, we are in danger of becoming more sacerdotal than our Roman Catholic friends. When we are more concerned about the 'authority' of the local church than we are the authority of Jesus Christ, the Southern Baptist Convention is becoming more clerical than the Vatican. When an agency or a board of the Southern Baptist Convention can tell a 'local church,' that the baptism of a missionary candidate from their church, which they (the members of the church) have received as biblical and valid (by immersion, after coming to faith in Christ, etc . . . ) is NOT a biblical and valid baptism according to the trustees of the IBM because the administrator of that baptism was not part of a 'local church that believed in eternal security,' then the Southern Baptist Convention is becoming more hierchial than Roman Catholicism herself. Last time I checked, I was a Southern Baptist. And, until Jesus comes or calls me home, I will do everything in my power to keep our beloved Southern Baptist Convention from giving in to what I perceive to be a creeping creedalism, clericalism, and sacerdotalism that could eat away at the soul of our Convention if left unchecked. For those who may be interested, the seventh performance of this year's Emmanuel Baptist Church Christmas Pageant will be broadcast over the internet LIVE tonight, December 12, 2007, at 7:30 p.m. Central Time. The Christmas Pageant will also be archived for later viewing. My son Logan and I are the narrators for the last half. It's been a hoot working with Logan. He's a natural! I will periodically read comments from Baptist Life, an on-line forum of Baptists from all over the world. In a discussion over a True Love Waits rally in Atlanta and the pressure put on kids by pastors to sign committment cards, the following comment - laced with irony - made me laugh out loud. By the way, just to show my consistency and to not offend anyone unintentionally, I affirm the right for any pastor to be fat and for any student not to make a vow in writing. Both are not signs of a lack of spirituality. Gluttony and immorality are - but it is incredibly easy to focus on the sins of others to the neglect of seeking God's grace to overcome our own. A November 25, 2007 news article from the Memphis Commercial Appeal reported on the missionary work in India of Bellevue Baptist Church, Memphis, Tennessee. Bellevue is the home church of many professors and administrators of Mid-America Seminary - a seminary whose leadership that is pressing for far tighter and narrower doctrinal parameters on the authority of the baptizer and ecclesiology than Scripture demands and the Southern Baptist Convention has approved. Bellevue is the congregation that has acted as the patron and bankroller of the seminary (at least in its current location). International Mission Board Trustee Chairman John Floyd and Southwestern Baptist Theological Seminary Trustee Chairman Vann McClain are employees of Mid-America. Though I am not sympathetic with the anti-missionary viewpoint of the article’s author, I was struck by a little detail or two related to baptism and ecclesiology. It appears that women from many villages across the Indian state of Andhra Pradesh came to a training center run by an Indian evangelist named Sathuluri who hosted a training program for village women that was fully - and solely - sponsored by Bellevue Baptist Church. During the course of the training event, at least one village woman, and implicit within the article - many more women - were baptized. There was no local church involved in the baptism. Women from all over the state were baptized by an evangelist, but they did not become members of any 'local' church that day. The women identified themselves with Christ - baptized at the hands of the evangelist who led them to Christ. This non-local church based baptismal service raises questions of inconsistency when juxtaposed to Dr. John Floyd’s, Mid-America's, and the 'new' (2005) IMB Baptism Position Paper that all posit an inflexible insistence that proper baptism is to be conducted only as an ordinance of the local church. I find it hard to believe anyone could be opposed to the good work that Bellevue is doing. I praise God for this Indian brother, Sathuluri, who is advancing the Kingdom among village women. Unless you have been on the mission field yourself, and personally understand the dangers new converts face for being baptized upon their profession of faith in Jesus Christ, you cannot fully appreciate Sathuluri's concern for the Hindu interpretor's presence. The evangelist is concerned for the safety of the converts he is about to baptize. Again, pay careful attention. There is no 'local church' involved in these baptisms. There is no 'local church' into which these woman are being 'baptized into.' They are being baptized biblically, into identification with Jesus Christ. What this newspaper article reveals is the ironic and incongruent position of anyone who insists upon imposing tight definitions and parameters on our IMB missionaries while then finding it impossible to implement such rigid norms when they actually find themselves on the mission field. First, that the only biblical mode for baptism is immersion. Second, that the only proper candidate for immersion is a regenerate believer in Jesus Christ. Third, that the act is purely symbolic and distinct from salvation itself and has no saving merit. Fourth, that baptism is a church ordinance and therefore the only proper administrator of it is a local New Testament church that holds to a proper view of salvation. Baptism is not an ordinance administered in the church, but out of it, and in order to admission into it, and communion with it; it is preparatory to it, and a qualification for it; it does not make a person a member of a church, or admit him into a visible church; persons must first be baptized, and then added to the church, as the three thousand converts were; a church has nothing to do with the baptism of any, but to be satisfied they are baptized before they are admitted into communion with it. Where Scripture is clear (as in the mode and candidate of baptism), we should be clear and unflinching. But, likewise, when God has chosen for Scripture to be ambiguous or ambivalent, we must resist the temptation to become dogmatic and prescriptive (as in 'baptism in a church that embraces the doctrine of eternal security'). I think the Memphis newspaper has done all Southern Baptists a good service in showing the danger of establishing a policy that reaches beyond the 2000 BFM, adds to the sacred Word of God by placing additional qualifications regarding the administrator of baptism, and is in the end, impractical in terms of implementation on the mission field. What's ironic to me is that the benefactor church of Mid-America and the home church of many Mid-America seminary professors is being used to show us the inconsistency. I think it would be helpful if we, the trustees of the International Mission Board, focused on our duties of giving oversight to the work of Southern Baptist missions, but we refrain from seeking to implement tight doctrinal 'policies' or 'guidelines' that far exceed the 2000 BFM and make it very difficult for actual missionaries on the field to implement. In my opinion, the 2005 baptism 'guideline' is far worse than the 2005 'private prayer language' policy in terms of its overall effect on our Southern Baptist mission work. Labels: Baptist Faith and Message, IMB Policies, IMB Trustees, Southwestern Sem. I do not know Marvin Knox, the editor of The Baptist Standard, but his editorial this past week struck a chord with me. I've met Marvin's mom and dad, a delightful couple who live in southwestern Oklahoma. I can't help but wonder if Marvin's beliefs and attitudes arise from a setting in his growing up years where genuine compassion was displayed for - and Christian love given to - all kinds of people. Marvin's editorial is entitled Differences, Defamation and Grace. He closes his editorial with a description of what disagreeing with grace would look like. "It means adopting a spirit of humility and grace. It means accepting the possibility we might be wrong. It means refusing to treat brothers and sisters in Christ as objects to be vilified and ridiculed. It means grace over law. It means people over power. I recently ran across a couple of articles that have been posted on-line and are very critical of the philosophy of the International Mission Board's emphasis on missionaries facilitating 'Church Planting Movements (CPM's).' Of course, facilitating Church Planting Movement's has formed the basic strategy of President Jerry Rankin, Regional Leadership, and the administrative staff of the IMB for the past several years. These articles, which are in The Spring 2007 Mid-America Seminary Journal of Evangelism and Missions, are both well written. They raise some issues that are worth discussing among Southern Baptists, but they are unquestionably - and very publicly - critical of IMB administration and the emphasis that has been placed on CPM's by IMB administrative leadership. Would discussing this issue (CPM) critically be frowned upon by many at the Board and the entities with which it works? Unquestionably. The movement often pushes missionaries to plant churches and disciple leaders more quickly than the biblical pattern. Due to the emphasis on speed, CPM methodology opens up church planters to the dangers of heresy. Current strategy leads to working with questionable Great Commission Christians groups on the field. CPM methodology denigrates working with American volunteers who wish to build church buildings. Thus, thousands of volunteers are not utilized that would like to serve. Wholehearted acceptance of CPM methodology has led to the IMB having a top-down strategy instead of a bottom-up strategy. "Reporting churches that fit man’s definition (of a church) but do not fit the biblical definition (of a church) is a waste of time and dishonest toward the Body of Christ." It might surprise some of you who have kept up with recent events at the IMB that one of the editors of the journal which contains these articles that are critical of the IMB is John Floyd, the Chairman of the Board of Trustees at the International Mission Board. Why is a trustee censured who is, (1). supportive of our IMB work, and (2). supportive of our IMB President, and (3). supportive of our IMB CPM strategy, and (4). supportive of a broader cooperation on the mission field with other Great Commission Churches, but publicly critical of an IMB trustee leadership decision to push a doctrinal policy that reaches beyond the 2000 BFM in order to exclude otherwise qualified Southern Baptists from missionary service? How many other Jerry Rankins are out there, otherwise qualified to serve, but are now being excluded because of the new doctrinal policies that reach beyond the 2000 BFM? I have voiced my concerns over the deeper issue of SBC agencies moving beyond the scope of our responsibilities by implementing 'doctrinal' policies that exceed the BFM on my blog - always in a civil manner - and simply to get people to talk about the issue. I believe I have succeeded. But because of the nature of my public criticism over a couple of new policies adopted by IMB trustees, I have been censured. But on the other hand, the Chairman of the Board of Trustees, John Floyd, who pushed the new doctrinal policies as Chairman of the IMB Personnel Committee in 2005, who is an editor of a magazine that openly criticizes IMB administrative strategy in reaching the world through Church Planting Movements, and who seemingly ignores the Southern Baptist Convention's advise to view the 2000 Baptist Faith and Message as the sufficient doctrinal parameter of Southern Baptist cooperation, is not even questioned about the criticism of IMB administration in the journal he edits? Read carefully. I am not advocating anybody else, including John Floyd, be censured. John is simply doing what he believes is best for the IMB and the SBC - as am I. To censure a Southern Baptist for public disagreement is like cursing a dog for barking. I affirm Dr. Floyd's right to criticise and question IMB strategy and IMB administration policies. We simply need Southern Baptists to see the inconsistency in allowing trustees to participate in traditional criticisms of IMB administration through phone calls, magazine articles, and private communications - but forbid any trustee from publicly questioning or criticizing trustee leadership strategy or trustee decisions. I believe John Floyd, Paige Patterson, and any other Southern Baptist should be allowed to be as critical of the IMB administration's planning and strategy as their hearts' desire. But any trustee who chooses to publicly oppose Drs. Floyd's and Patterson's respective strategies and philosophies should also be given the same freedom. Some may not wish to grant it, but this trustee is determined to create an environment in our Convention where people are not afraid to express civil disagreement. I believe this is what the Southern Baptist Convention desires, and in time, it will occur. I am a patient man. P.S. Today is the two year anniversary of my first post. I am happy to say I have stayed the course, and after a lengthy review of everything I have written over these past two years, I can say with assurance that I have focused on the issues, and I have done a pretty decent job of not attacking people - even when the heat has been turned on me quite intensely. Most importantly, my wife says I have not lost my sense of humor. Here is to another two years of blogging in order to keep Southern Baptists informed. Our church will be giving more to the Lottie Moon Christmas Offering because of the increasing number of IMB missionaries needing our support . . .
Our church will be giving more to the Lottie Moon Christmas Offering because of our belief that we can do more by cooperating with other Southern Baptist churches than we could do on our own . . .
Our church will be giving more to the Lottie Moon Christmas Offering because of the outstanding missionary work taking place around the world among our 5,3000 Southern Baptist missionaries . . . .
Our church will be giving more to the Lottie Moon Christmas Offering as a testimony that it is better to give than to receive . . . .
Our church will be giving more to the Lottie Moon Christmas Offering because this Grandma video has inspired us like no other . . . .
Our church has made it a habit to be available to help 'restore' men who have fallen into public sin while in ministry. On several occasions we have been part of the process the Lord has used bring to about restoration and healing to pastors' families, churches, and ministries. One of the men who has been the grateful recipient of our church's grace and love called me the other day and said he was puzzled by statements in Baptist newspapers that speak of IMB trustees "making every effort to restore him (Burleson) to service." The pastor who called me said, "Don't the trustees see that you are respectfully and responsibly serving the SBC and do not need any 'restoration' to that service? I laughed and told him that I'm not the one he needs to convince. However, I did also tell him that he seems to comprehend a few things that some (not all) of my fellow trustees have a hard time understanding. Trustees are appointed by the Southern Baptist Convention. The authority behind our appointment is the Southern Baptist Convention. The cooperating Southern Baptist churches of our Convention send 'messengers' to the annual Convention, and these messengers appoint us. They (the 'messengers' who represent the local churches) are ultimately our highest authority. I will obey the wishes of the Southern Baptist Convention - unless or until - the SBC begins to flagrantly and volitionally violate the Word of God. If that happens, then I will voluntarily cease being a Southern Baptist and lead the church I pastor to withdraw from the Convention. Since the Southern Baptist Convention has affirmed these last twenty years our belief in the Word of God, I don't think we will collectively and intentionally violate the Word of God, but humility is needed to be able to differentiate between those foundational truths of the Christian faith and other doctrines that are often interpreted differently by various conservative, evangelical Christians. The issue that we Southern Baptists must wrestle with is the implementation of doctrinal policies at our SBC agencies that exceed the Baptist Faith and Message and exclude otherwise qualified Southern Baptists from missionary and ministry service. For trustees at our agencies to say to Southern Baptists, "You must believe this," when the doctrinal interpretations they demand conformity to are beyond the scope of the 2000 BFM is a violation of Southern Baptist Convention trust and an act beyond the scope and parameter of trustee service. If the IMB trustees wish to establish a doctrinal parameter for missionary participation that is narrower than the 2000 BFM , then the IMB Board of Trustees MUST ANSWER TO SOMEONE. We SBC trustees answer in every sense - morally, ethically and rightfully - to the Southern Baptist Convention. The Convention maintains the ultimate authority over trustees. Therefore . . .
(1). When a trustee body establishes doctrinal policies that exceed the 2000 Baptist Faith and Message, and then use those policies as a basis for disqualifying otherwise qualified Southern Baptist missionary candidates, the Southern Baptist Convention has an obligation to advise that trustee body of their displeasure - if in fact the SBC disapproves. If the trustee body is unresponsive to the Southern Baptist Convention, then it becomes incumbent upon the Convention to elect trustees that will abide by their wishes. The Convention expressed her displeasure with SBC agencies establishing doctrinal policies that exceed the 2000 BFM by adopting The 2007 Garner Motion. This motion made clear that that the 2000 Baptist Faith and Message should be the SUFFICIENT doctrinal standard of cooperation among Southern Baptists. READ THE TRANSCRIPT OF THE DEBATE OVER THE GARNER MOTION. No rational person can misunderstand what was said, and those who say the SBC did not know what they were doing should be ashamed. It could be easily argued that I am a trustee who is actually being responsible and respectful to the Southern Baptist Convention by attempting to fulfill her wishes. Let me hasten to add that the Convention cannot 'instruct' any autonomous agency, but any trustee worth his salt would realize that 'advice' given us by the SBC should be heeded. The Southern Baptist Convention is the ultimate authority over the International Misison Board trustees and can either express their acceptance or displeasure with the new policy that stifles principled and courteous dissent of sitting trustees. I believe the SBC will soon speak as clearly on this issue as they did about their desires that the 2000 BFM be the sufficient doctrinal standard of SBC cooperation. If, however, I am wrong, and and the Convention desires all sitting trustees to publicly support that which they cannot privately support, I will resign from service as a trustee of the International Mission Board. They appointed me, and if they do not wish to hear my courteous and principled dissent while serving as a trustee, I will unconditionally resign. I listen to the SBC on this matter. I take my orders from the Convention. Again, I believe that I know the Southern Baptist Convention's desires in this matter. Disagreement is not only the prerogative of individual Southern Baptists – it is the Baptist way. To disagree is not sin. Nobody has to be 'restored' for disagreeing. We should learn to cooperate in missions and ministry with other Southern Baptists who see things differently on matters that should never divide us. I believe that this is what the Convention desires. We need a Gospel Resurgence. The Conservative Resurgence is over. It's time the Gospel gained our attention and we learned to cooperate with people who are different than us. I am not asking for everyone to be like me - I'm just holding accountable those Southern Baptists who wish to exclude people who aren't like them . I look forward to my continued responsible and respectful service to the SBC.